We’ve met some very good doggos in our time. But this is one is very talented. 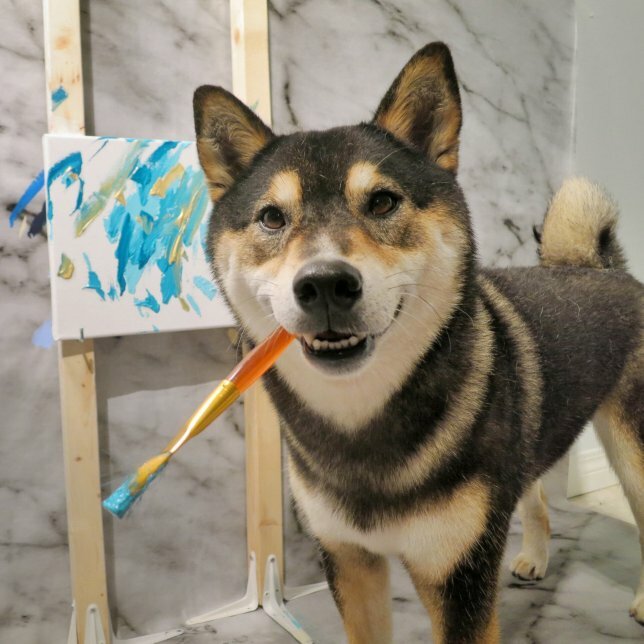 Hunter, a cute Shiba Inu, is a professional painter who has made thousands. He creates amazing works at his home in Alberta, Canada, having been taught how to paint by his owners, Kenny Au and his wife, Denise Lo. They sell the works on his Etsy store and so far they’ve made more than £3,800 from 150 paintings. Kenny said: ‘One thing that we are always impressed with is how unique each painting is. He can get pretty creative with his brush strokes depending on his mood. 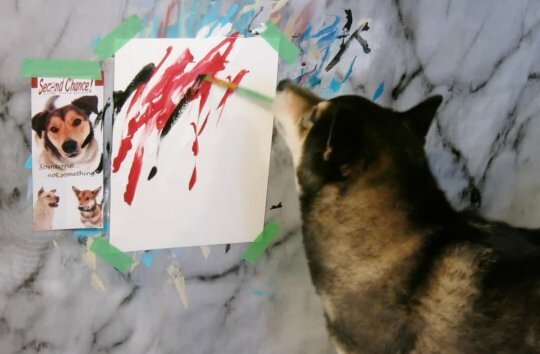 ‘We see lots of dabs and checkmarks with the heavier brushes and then some loops and flicks with the lighter brushes.’ Hunter started painting in March 2017 as his owners wanted to give him some mental enrichment. Kenny and Denise decided to teach him how to paint so they would have some artwork for the walls. 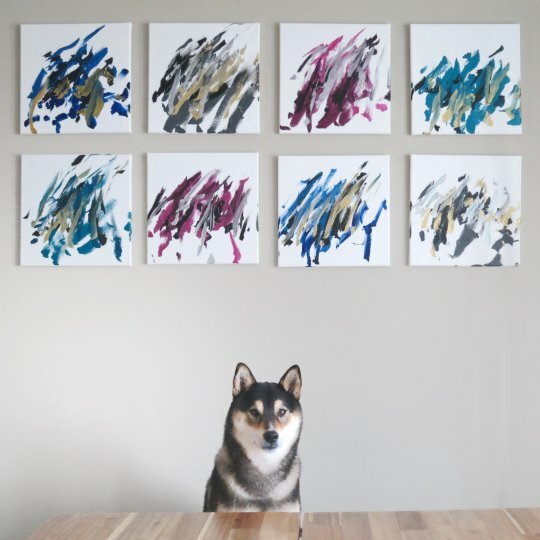 Amazed at how well the initial paintings turned out, the couple decided to continue working with their dog to create more works. Each painting session take between 10 to 15 minutes, the couple said, and the final works sell for around £43 each. They are hoping to donate some of Hunter’s work for sale by rescue organisations. Kenny added: ‘We’ve seen a lot of support for Hunter from everyone over the past couple of years.